This functionality offers the possibility to add to AndSoft’s e-TMS a very efficient cost management tool. 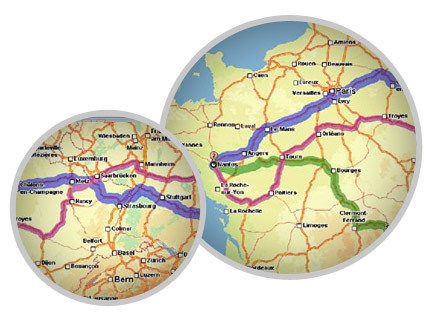 Indeed, this module proposes different routes for a same destination and automatically calculates the costs associated to each route: toll, tunnel and ferry fees. The load and void kilometers are also managed (trailer and truck), as are the costs (automatic pricing of subcontractors) in order to view margins. CO2 emissions are also displayed and the Ecotax for HGV’s is also taken into account. The information includes the amount of carbon dioxide emitted to the upstream stages (generation of energy needed to operate the means of transport) and operation (combustion of the energy source). The transmission of this information can be made with a real support or dematerialized: quote, invoice, email, SMS, e-mail link to a computer program, etc. 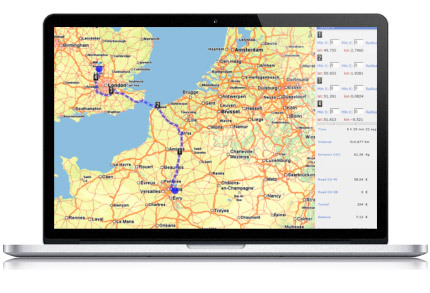 This innovation has been developed to meet a growing need: tracing in real-time the transport of high value goods. This solution allows loaders to control the flow of goods with high added value according to the requirements of their clients. For each route, several sensitive areas are defined that the goods must not leave. If the goods, provided with a GPS transmitter, leave the defined area, alerts are triggered automatically. Geofencing by AndSoft was developed in our TMS, e-TMS by AndSoft and is the first TMS full Web with this technology. The operator is informed in real time of the various crossings of the goods and may therefore have a pro-active management towards his client. This optional module of our transportation management software e-TMS © by AndSoft can submit offers for transport in freight exchanges. It was founded on the logic of a freight exchange operational type, which facilitates the management of all data. It includes regulations and control of all the constraints necessary for the proper organization of assignments and executions. Automatic generation of sales invoices / purchase parts and commissions for the agency. This module is a real tool for the planning organization and management appointments docks. It takes into account the business constraints suppliers, carriers, customers, load types, types of products and other business priorities such as the promotion spot. Your team, as well as carriers and suppliers will benefit from real-time visibility of the status of appointment through their respective web portal. 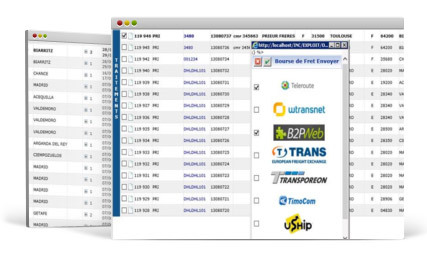 This option provides a complete view of the tasks such as order fulfillment, procurement, storage and transport. Visibility, monitoring and performance management contributes to improving logistics efficiency by providing our customers and partners a unique view of shipments, inventory, status of cross compliance and performance delivery.